We're so grateful for your partnership with us in our mission to ensure that every child experiences life in all its fullness. 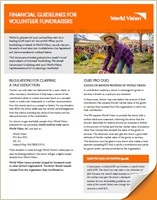 Following are some resources to help as you plan events or other fundraising projects on behalf of World Vision. Take advantage of World Vision’s extensive Speakers Bureau for your next fundraising event! One of our dynamic speakers will connect your audience with stories of hope and transformation, giving them a firsthand glimpse into our life-changing work around the world. This brief flyer includes the link to view our lineup of speakers and information on how to request one for your event. 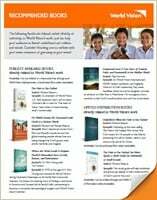 This flyer has a helpful list of books that are related, either directly or indirectly, to World Vision's work, and can help your audience to better understand our mission and values. We've also included information on how you can procure each book. Fresh off the presses! 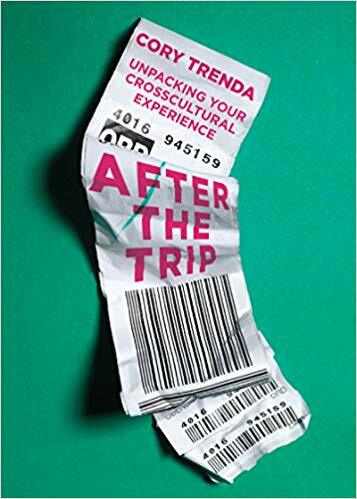 Author Cory Trenda whose book "Reflections from Afar" is featured in the flyer has just written a new book called "After the Trip: Unpacking Your Crosscultural Experience". This books provides provides guidance for the approximately 2 million people each year who take a missions trip, do a service project through church or school or join a vision trip. Many books have been written to help guide travelers before and during their experience, but none focus on the most important element of life-change: what happens after the trip. The book is available from online booksellers. 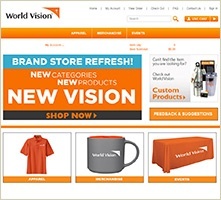 Order branded World Vision merchandise from our company store for yourself or as event giveaways! Go to costore.com/worldvision to see all available items. Once your account is created, you can add items to your shopping cart and check out using a credit card.